The NEW Hedler DX 25 lamp unit produces continuous daylight. The HEDLER DX25 has no fan - perfect for sound recordings! 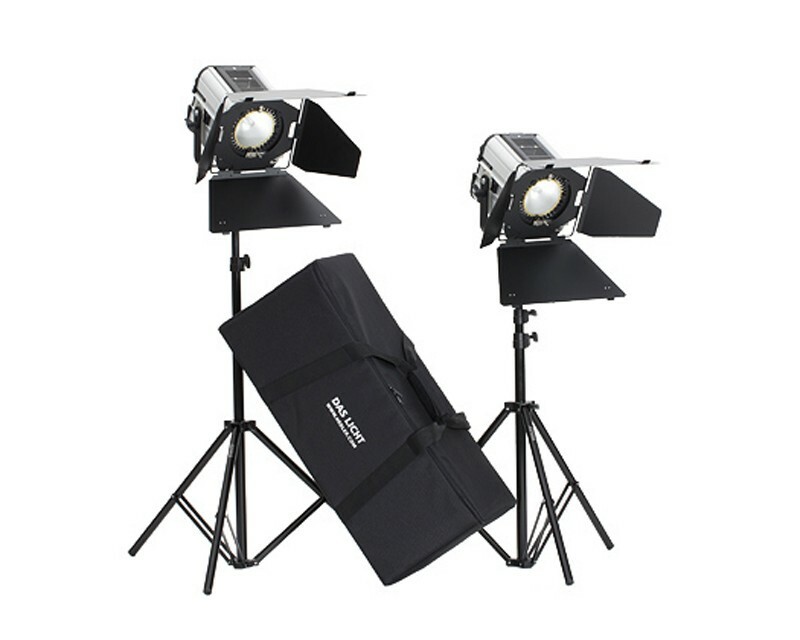 DX 25 - Location Kit, contains: 2 x DX25, 2 x 4 Way Barndoor, 2 x Light stand 2.4 m, 1 x Case, cables and bulbs. With its metal-halogen lamp 250 W / SE it produces a flicker-free light with approx. 5800 Kelvin. Special feature: the built-in Electronic Ballast with fault recognition for the lamp. Designed for professional use, the lamp has an average lifetime of approx. 1,000 operating hours, the Electronic Ballast of approx. 60,000 operating hours! The HEDLER DX25's lamp produces a continuous light output power that equates to a 900 Watts standard Tungsten halogen lamp. The unit produces a cool light beam, important for product shots and pleasing for people in front of your camera! DX25 comes with: Clear safety glass, metal halogen lamp 250 W, U-Bracket with Quick-Lock Light Stand Attachment 5/8 inch, built-in Electronic Ballast and a Quick-Fit Adapter for Hedler reflectors & softboxes!